Multimeters are great tools that can help you effectively solve any electrical problem you have with your appliance. Every household should have one of these devices because it can help you out of many tricky situations when troubleshooting an electrical appliance. You don’t have to be a professional to check simple things like AC or DC voltage on your appliance. But before you begin any troubleshooting task, it is important to understand the different features of the multimeter. When you are familiar with what each component or feature does, it will help you effectively fix any electrical problems. So, what are the features of the best types of multimeters? The best quality multimeters have graphic functions which display AC measurements in real time. If you notice irregularities, this feature will come in handy to help you easily detect any fault with your appliances. It is even more useful to those who work with nonlinear AC waveforms. This is another excellent feature that enables you to monitor and record your measured data over a long period of time. The software can record data over a prolonged period and also show the general trends within that period. After the data is collected, it can then be utilized for further analysis. This feature is much needed for the repair and installation of systems such as air conditioning and ventilation systems. If you want to troubleshoot motor drives, this feature will be perfect. Most of the RMS used may not have this feature but the best quality models will not let you down. The low pass feature is meant to prevent unwanted voltages when measuring voltages that are higher than 1 KHz if measuring AC frequency or AC voltage. It will also improve the level of accuracy when measuring voltages and current on appliances such as inverters and frequency motor drives. This feature is necessary for preventing induced voltages from measurement. The voltage can result from capacitive coupling between energized wires. If the induced voltages are noticed, it can lead to more accurate measurements. This is an advanced feature of the multimeter, and it’s available in a few different types of multimeter. It is also known as offset compensation, the feature that allows you to achieve greater measurement accuracy in some situations. This feature is needed when testing resistance with two distinct test currents to find out if there are offset voltages present in the input circuit. With this check, it displays a corrected measure and eliminates any unexpected DC voltage within the circuit. 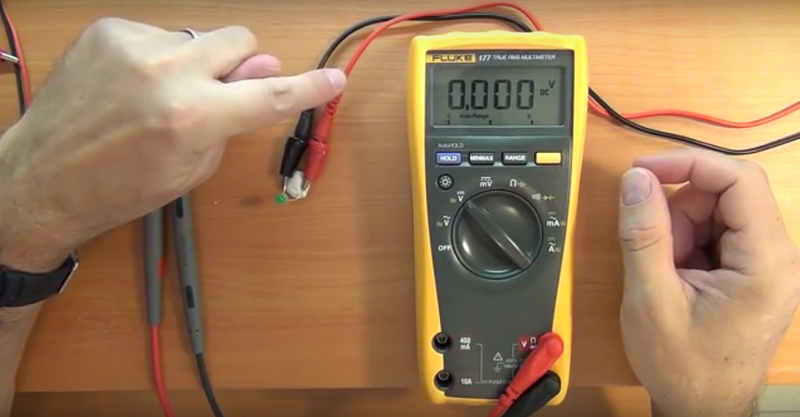 Voltage test is the most common feature of the multimeter. Almost all types of multimeters (whether digital or analogue) have this capability. The voltage test begins at the highest range and moves down to the most ideal voltage range for the appliance you intend to measure. However, if you want to measure voltages at different locations within the circuit you need to make use of the test leads to identify and effectively read the voltage differences. When measuring, remember that DC modes and AC modes are not compatible. Another important thing you need to know is to always measure your voltage first in order to find out if the circuit is DC or AC. Finally, a multimeter will not serve its rightful purpose if it is not able to measure ohms. It is the most important feature of the multimeter. The measuring ohm is required when checking for consistency of current on an appliance or a circuit. If a switch is open or a wire is broken, you may not be able to detect the fault until you make use of this feature. The ohmmeter will help you check for consistency when troubleshooting your device. Although you can test for continuity using another method since some multimeters have a different feature that only test for continuity, those multimeters that can read both continuity and ohms are more preferred since they can also be used to test network and SCSI terminations.